The actor Ôtani Tokuji I held this name from Spring 1770 to the 7th lunar month of 1808. 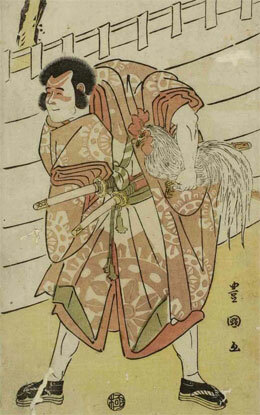 The actor Ôtani Bajû IV held the name of Ôtani Tokuji II from 1847 to the 9th lunar month of 1862. 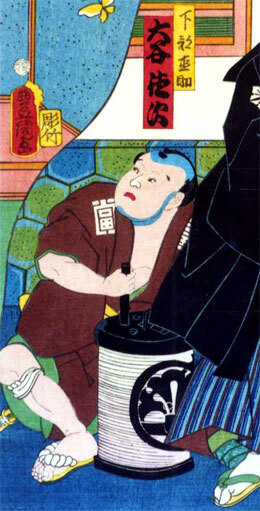 A minor actor held the name of Ôtani Tokuji III from the 1870s to the 1910s. Nothing much was recorded about him. Born the 30th of September 1887. He started his career in a traveling troupe and made his debut on stage in Fujieda on the Tôkaidô in 1896. His first stage name was Ôtani Tokumaru. He took the name of Ôtani Tokuji IV at the beginning of the 20th century and held it up to February 1921, when he became nadai and changed his name to Ôtani Shikô II at the Shintomiza. He was active up to the middle of the 1930s.